Makes a chip filled drain adjustable in depth from 12" (300mm) to 21" (530mm). The width of the drain is 4" (100mm) for the bottom 4" of its depth and 3" wide from there up towards the surface. The height of the chips in the drain is adjustable up to about 18" (450mm) depending on the size of the chips. Suitable for tractors of 120HP upwards. 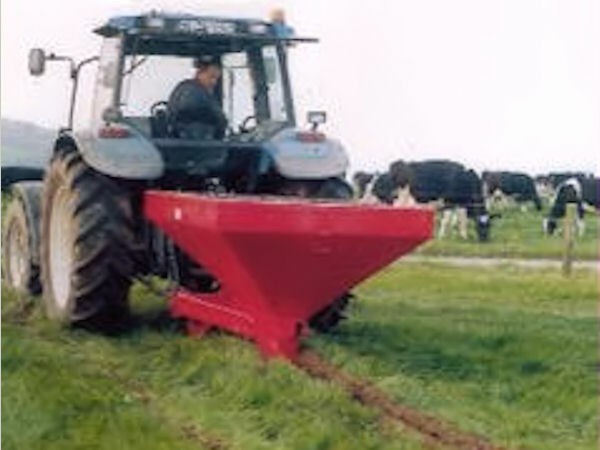 Working depth controlled by a vertically adjustable front depth-wheel / cutting disk roller. The leg is 3 1/2" (90mm) outside width and 2 1/2" (65mm) inside width. The bottom, front tip is 4" (100mm) wide, based on a Cat 225 rock bucket tooth. Total standing height is 65" (1630mm). 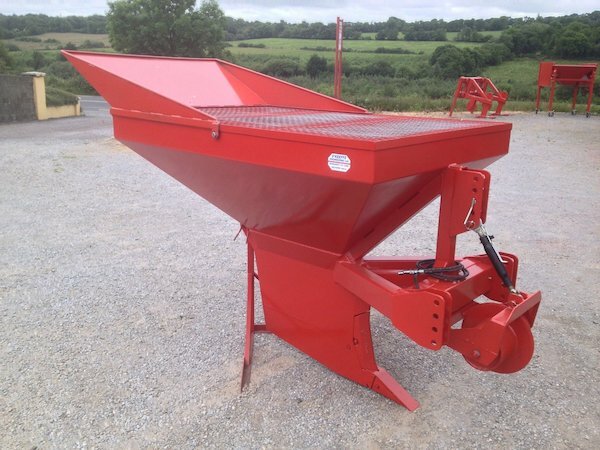 The hopper capacity is two tonnes and its dimensions on top are 7 feet (2130mm) long by 5 feet (1500mm) wide. A Filter Grill on top of the hopper prevents any blockages. 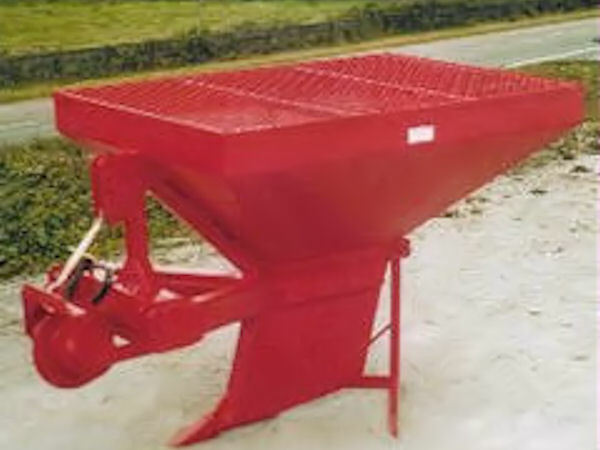 Gravel flow is switched on or off by a hydraulic shutter at the bottom of the hopper.